YouTube’s member ‘docm77′ has posted a new video in which CD Projekt’s visual artist, Jose Teixeira, shares his thoughts on The Witcher 3’s “downgrade-ation” subject. “No we didn’t downgrade, it’s… no we didn’t downgrade. Because it’s impossible to downgrade a game that didn’t exist before or wasn’t playable before. Actually there was a guy that commented like that, you can’t downgrade something that… there was no grade to downgrade. He was comparing final product to something that wasn’t playable. There’s two things that people have to separate. Downgrade is… Optimization is necessary to make the game run. Downgrade is if you deliberately make the game worse, for whatever reason. That’s totally not what happened. Also there’s another thing that people have to understand is that it’s very unfair to compare trailers and gameplay demos. Trailer is.. trailer is a beautiful shot. Trailer is prepared, you take one location, you put the perfect lights, and the perfect camera angle, and the perfect scene, and it looks absolutely beautiful. It’s captured in super high-definition and then you postprocess it. It’s a trailer. 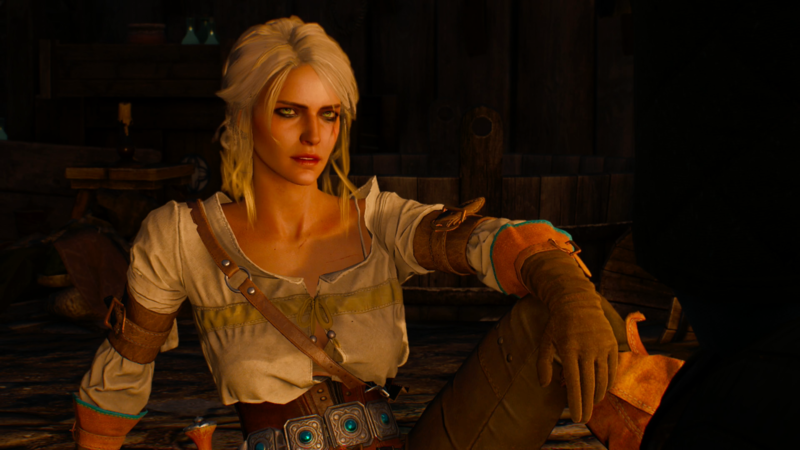 CD Projekt RED explains that the 2013 gameplay demo featured an old shader system, which wasn’t physically based. Some things appeared sharper. After implementing the whole shader system with the new PBR, the results were better.